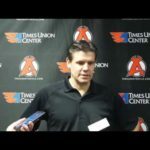 ALBANY, NY – The Albany Devils got back in the win column with a 4-3 victory over the Hartford Wolf Pack Saturday at Times Union Center. 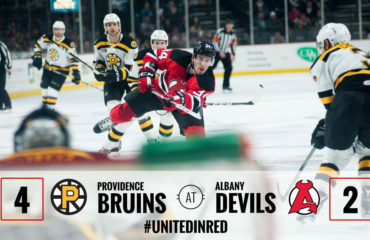 The Devils received two goals from Blake Pietila as they improve their record to 35-29-2-3. The Wolf Pack move to 23-40-4-2. Max Novak scored the game’s first goal at 4:41 of the first period as he buried a loose puck in front of the net for his seventh of the season. Defensemen Jacob MacDonald and Vojtech Mozik each recorded an assist on the play. 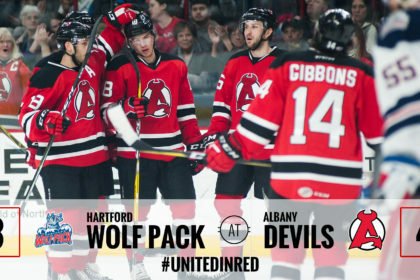 Nicklas Jensen scored for Hartford to even the game at one apiece at 17:46 of the first. 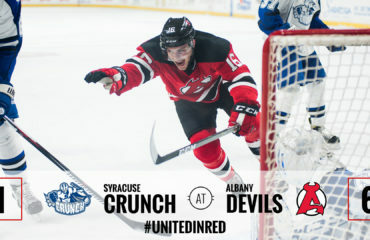 Kevin Rooney scored a shorthanded goal at 7:38 of the second period to give the Devils a 2-1 advantage. 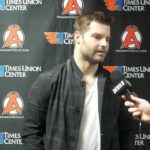 Novak intercepted a Hartford pass at center ice and led a two-on-one break as he fed Rooney who went blocker-side high for his 11th tally of the season. Novak picked up his second point of the night with the assist to give him his first multi-point effort of the season. Pietila scored his 16th goal of the year on a power-play at 19:21 of the second period. 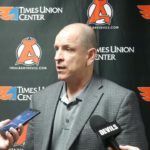 Pietila went top-shelf on a wrist shot to beat Hartford goaltender Chris Nell. MacDonald and Carter Camper picked up the assists on the goal. 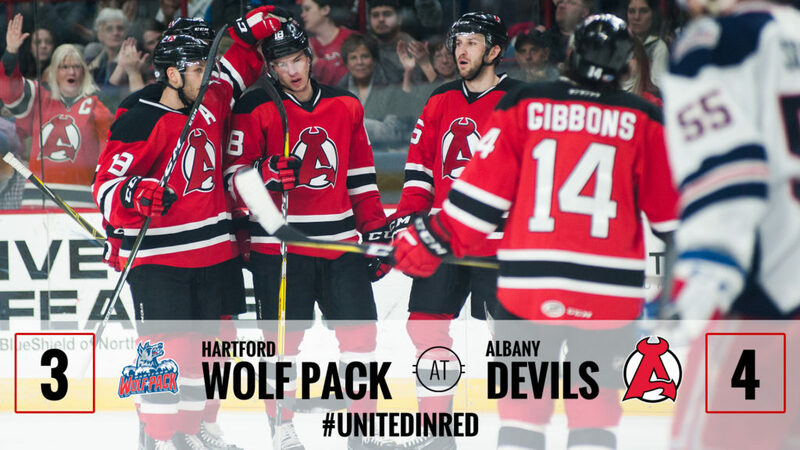 Matt Carey scored for the Wolf Pack at to make it a 3-2 game at 7:26 of the third period. 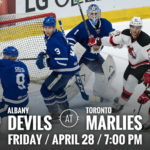 Pietila answered back with his second power-play goal of the night 24 seconds later on a pass from Brian Gibbons to regain the Devils’ two goal lead. MacDonald tallied his third assist of the game on the play. Taylor Beck scored at 11:34 to make it a 4-3 contest. 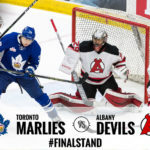 Ken Appleby made 30 saves on 33 shots as he picked up his 17th win of the season. Nell registered 26 saves in his first career start. 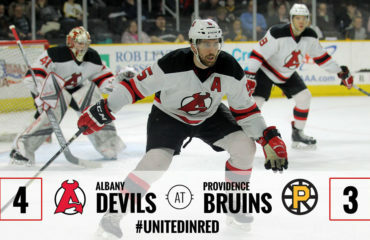 The Devils play the Rochester Americans Sunday at Times Union Center. Puck drops at 3 pm.